Between 2007 and early 2011 Dr Horne was Deputy Secretary in the Australian Department of Sustainability, Environment Water, Population and Communities, with responsibility for Water, where he led the development of water policy in the Australian Government. He was Chair of the Murray Darling Basin Basin Officials Committee and the Council of Australian Governments’ Water Reform Committee. James held senior executive positions in the Australian government over 20 years, including in the Department of the Prime Minister and Cabinet (as Head of the Industry, Infrastructure and Environment Division, including responsibility for COAG) and the Australian Treasury including as General Manager of its Macroeconomic Policy Division. James was Minister (Economic) at the Australian Embassy in Tokyo between 1994-1996. In 2005-2006 he was Chief Executive of South Australia’s Department of Transport Energy and Infrastructure. 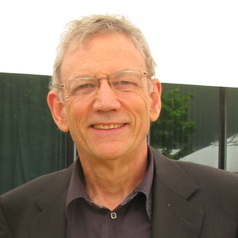 In January 2011, James retired from the Australian public service. He is a member of editorial board of the Journal of Water Resources Development. He is currently Principal of James Horne and Associates. He holds a Phd from the Australian National University and in 2002 completed the Advanced Management Program at Harvard University. In 2010 he was awarded an Australian Public Service Medal (PSM) for his contribution to Australian water policy. •	Horne, J. (2017). The politics of water reform and environmental sustainability in the Murray–Darling Basin. Water International, 42:8, 1000-1021. •	Horne, J., Tortajada, C. & Harrington, L. (2018). Achieving the Sustainable Development Goals: improving water services in cities affected by extreme weather events. International Journal of Water Resources Development, 34:4, 475-489. •	Horne, J. (2018). Resilience in major Australian cities: assessing capacity and preparedness to respond to extreme weather events. International Journal of Water Resources Development, 34:4, 632-651.